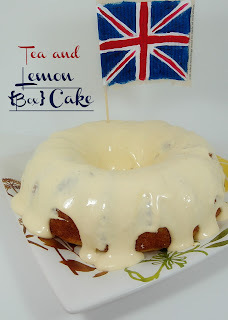 ' let them eat cake...lemon cake, with tea please - Sisters, What! A few weeks ago, I hosted a book club for the discussion of Major Pettigrew Last Stand by Helen Simonson. It only seemed proper that we had tea and cake, and so we did. 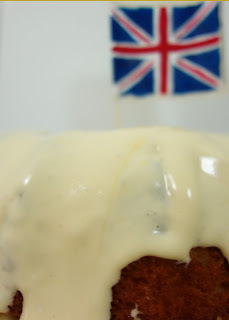 And yes, that is a British Flag on the cake. Actually, it's probably the first cake that I've ever been proud of (and yes it was still from a box). No seriously, I don't bake. Cookies are the only sweet thing I claim to be comfortable with, but baking anything else is NOT my forte. Thus was I shocked how it turned out (actually, that it even turned out), and I actually ate more then one piece. I've heard sour cream was good in cakes, so I thought that yogurt might be good too (yep, I'm a risk taker, probably why I shouldn't bake). Anyway, I found a recipe online and decided to go it. Unfortunately, I can't find that exact recipe since that I made it, but it's pretty simple. mix altogether and cook according to instruction. *Yogurt will make cake super moist but a little dense like pound cake. Now the frosting was from a random old recipe book I was just happening to look through. SO GOOD! - mix milk and orange juice well, then fold in whipped cream. - Put on cake and chill. 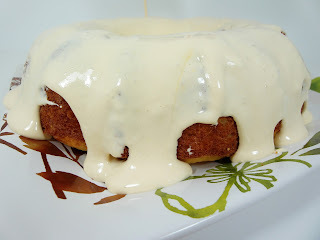 Seriously, I usually stay away from cakes and deserts, because they always go wrong (even if I follow recipe to the tee), but this cake and frosting was the best thing in the world! So good and easy, I just had to share it. I'm a terrible baker, cookies included. The cake looks so tasty though! Thanks for sharing! Hi! I'm Ginger! :) That looks for yummy! :) Visiting from the blog hop. I have a craft blog, so I'm checking out all the other crafty blogs. :) Love the name of your blog! I have 5 sisters...having a blog together would be so much fun. I'm a new follower. Hope your having a great Monday. This looks delicious! Cannot wait to try this out.